Agnes Stradner, born 1968 into a family of musicians, has been a devoted music teacher for more than 25 years. Because of her own early experience in playing on gut strings it has always been her goal to encourage even very young musicians to play baroque repertoire on period instruments. So she created a class for Baroque Violin at the music schools in Vienna, furthermore she coaches baroque chamber music ensembles. She was invited to lead workshops in “Introduction to Historic Performance Practice” at several schools such as the Music High School of Vienna (“Musikgymnasium Wien”) . Agnes Stradner is an instructor at the “Barockorchester Döbling”, the unique youth orchestra in Vienna specializing in historic performance practice of music from the Renaissance to the Classical era on period instruments. In addition she gives violin master classes in Austria and Argentina and works regularly with modern opera orchestras as a coach for the baroque performance practice. 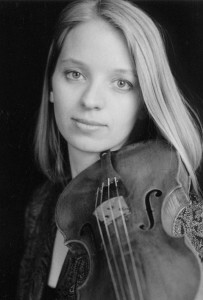 Agnes Stradner is a founding member of the “Bach Consort Wien” with whom she performs as a soloist, chamber musician and concertmaster in the “Musikverein” Wien and other prestigious concert venues in Europe. Furthermore she plays in prominent period-instrument ensembles such as Akademie für Alte Musik Berlin, Balthasar Neumann Ensemble, Armonico Tributo, La Divina Armonia, Amsterdam Baroque Orchestra, Les Agremens, Les Musiciens du Louvre Grenoble and has participated in many international tours and CD/DVD productions. Her main focus in recent years has been on solo recitals in Vienna, Spain and Portugal with highlights of the baroque violin repertoire.